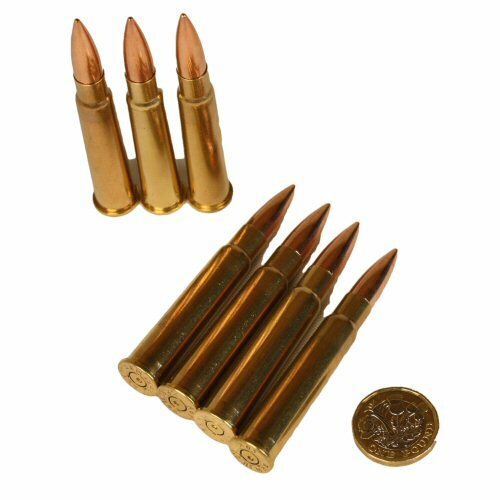 South African military 7.7x56R (.303) inert ammunition made by PMP in Pretoria from 1979 to 1981. Marked marked A81 7.7 R1 M3Z, indicating this is a late production. These were made with Berdan primers. Fitted with a 174gr FMJ lead core bullet. These are relatively rare due to the short period of production, slow release for training or Skiet Commando practice use, and the Z marking on the headstamp indicates that these originally used Nitro powder which was more powerful than the Cordite used in earlier batches. 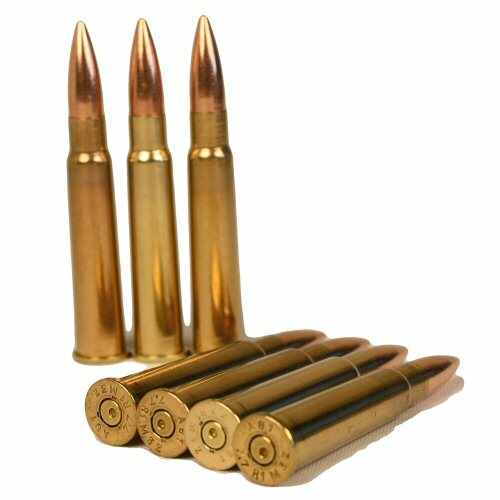 This military manufacture ammunition is praised for accuracy and quality by users. 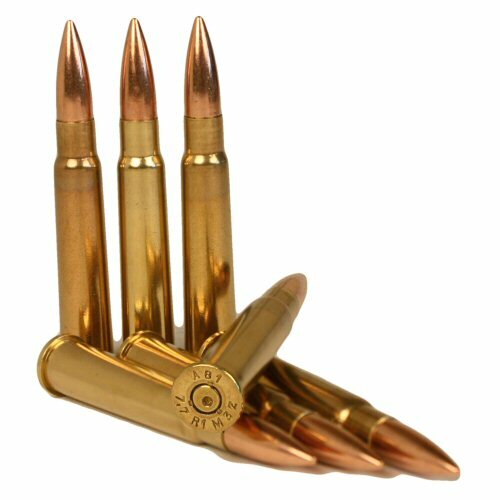 Inert round comprises a fired, indented primer, cleaned brass case and inert, soft metal jacketed bullet head, and has no ignition and no propellant. Price is for ONE round only. Inert rounds may not be shipped on Royal Mail, and all international shipping must be with courier. Coin shown for size comparison only. A view of the headstamps. Some are lighter than others, but all are from the same year (1981). A coin shown for size comparison.